Business travellers in Russia and the Ukraine will in the future find themselves flying on the Italian/French ATR aircraft. 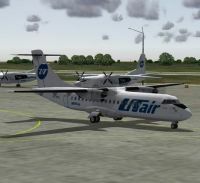 Russian carrier UTair has signed a contract for 20 of the Toulouse assembled aircraft bring its fleet up to a total of 37, the largest in Europe. UTair was founded in 1997 with the partial breakup of Aeroflot. Today it is one of the largest Russian regional airlines with a current fleet of 177 aircraft and an order backlog that not only includes the ATRs, but also 24 of the Sukhoi Super Jet. As it retires its elderly Russian aircraft these are being replaced on longer routes by Boeing 737 New Generation series aircraft. SkyWork Airlines, the Swiss carrier, has very quickly upgraded its new route from Bern to London City Airport following a surge of bookings. When introduced in late March of this year the plan was to initially service the operation with a 31-seat Dornier 328 aircraft but effective last week a 70-seat Bombardier Q400 is now the mainstay aircraft on the route. SkyWork Airlines is delighted with the reaction to the latest addition to its route network, the only direct flight between London’s premier business airport and Switzerland’s capital. 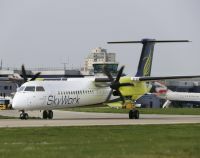 “Forward bookings are very strong, especially for Easter and we have been extremely pleased with how the market has responded so positively to the service,” said SkyWork Airlines CEO Tomislav Lang. He noted that the split of traffic is showing to be 60% leisure, 40% business. Now getting ready for its third year at London’s Excel centre, Business Travel Market (BTM), which calls itself the conference and exhibition for European travel buyers, has announced a number of big name exhibitors who have committed to this year’s event. The dates for the show are 22-23 June. Prestigious travel suppliers new for the event include Airplus International, Amadeus, Concorde Hotels, Heathrow Express and United. Some 60 industry suppliers are already booked including Accor, Eurostar, HRS, Qatar Airways and Virgin Atlantic. Bristol’s Filton Airport, said to be pre-Second World War, the world’s largest aircraft manufacturing plant, is to close at the end of 2012 following a review by owner BAE Systems of its commercial and economic viability. Opened in 1910 the airport gained a hard runway in 1941 which was later extended to 8000ft to accommodate the Bristol Brabazon, built at the airport. All the ten British Concordes were assembled in the three-bay Brabazon Hangar. 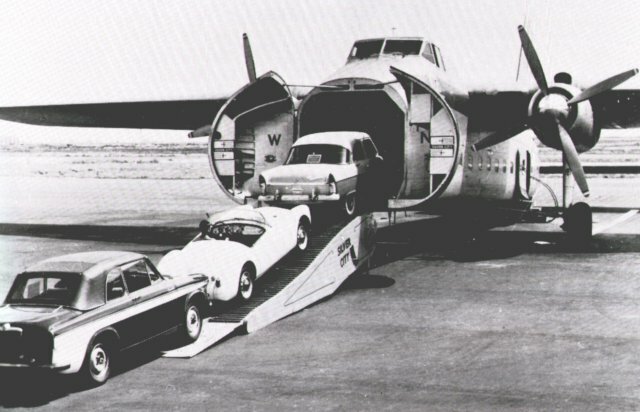 Other famous Bristol built aircraft have included the Bristol Freighter, Britannia and Beaufighter. 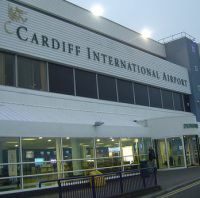 In the 1990s Air Bristol attempted to launch scheduled services from the airport which has an ideal position near the M5/M4 junction, but were thwarted by the local council, then a part owner of Bristol Lulsgate airport. It even has a railway line. Electric cars have been around since the invention of the internal combustion engine but their practicalities have caused concern, particularly regarding range. 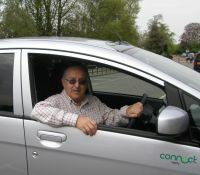 Now Hertz have come up with a practical and cheap car rental scheme initially using the pure-electric (EV) Mitsubishi i-MiEV city car available to Connect by Hertz members to zip around London. Hertz plans to add further i-MiEVs to its fleets throughout the year across the UK. If you don’t belong to Connect by Hertz signing up is free. Cost is just £4 per hour or £40 for 24 hours, but that includes a full charge. In practical terms it is by far the cheapest way to get to central London from Heathrow for a single person, and ridiculously cheap for four. No congestion charges to pay either. Customers will be able to charge their vehicles at Hertz stations located across the capital as well as at Heathrow and London City Airport. In addition, customers will have access to the Source London public charging points which are being rolled out across the city. The Mayor intends for London to become the electric vehicle capital of Europe by 2013. 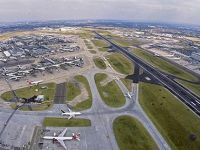 Heathrow may not be the world’s favourite airport in some respects, but it continues to lead from the front in terms of international airline routes. Figures issue by BAA, the airport owner, note that 3.6m passengers departed to New York in 2010, giving a comfortable lead over mainland continental gateways in terms of popular transcontinental services. It claims to be making real progress in reducing security times to under five minutes 99% of the time and last month’s average time for returning bags fell to just 30 minutes from the last one being unloaded off the plane. March saw an average of one departure an hour during the day and one every 15 minutes during peak evening hours. 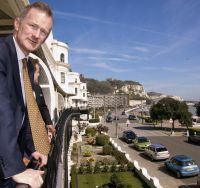 The UK Minister for Tourism and Heritage, John Penrose MP, has opened the Best Western Dover Marina Hotel & Spa, overlooking Dover Harbour. The hotel has 81 individually styled en-suite bedrooms, many with spectacular sea views; three conference, function and meetings rooms; The Waterside Brassiere; a stylish bar and a beachfront coffee shop. Tea and coffee making facilities, hairdryer, iron and ironing board are provided as well as free wi-fi. A well-equipped fitness and spa centre will open later this year. The property is a listed Regency building. Readers may recall a recent AND FINALLY where we highlighted the difficulties for short sighted glasses wearers at Heathrow. A reader has come up with another problem in this technological age. Being of high-tech mind he loaded his e-boarding card onto a smartphone and trotted off to a London airport. No problems with check-in of course (which he had done previously), nor security, or at the gate. But on actual boarding the aircraft his PDA went flat. “I am very sorry sir but no getting on without an authority that I can see,” said the cabin staff member. “But suppose I have hold baggage?” my friend explained. The AERBT reader failed to make the journey! Back to the drawing board as regards technology. European business travellers are turning to flying as a respite from the pressures of daily life, providing a rare opportunity to unwind rather than simply just a means to get to the next meeting, according to a new survey commissioned by Delta Air Lines. When asked, the vast majority of business travellers in the UK (93%), France (94%), Germany (88%) and Spain (91%), place a high value on being pampered by the cabin staff before settling down to the latest movie or good book during their flight. In each country, around half of the sample had taken transatlantic flights. The survey, which was conducted by international market research firm ComRes, asked travellers about their habits and choices when it comes to air travel, including the use of technology and their booking preferences. The London-based organisation surveyed 2,000 business travellers in the UK, France, Germany and Spain online between 11 and 21 March 2011. Respondents have travelled by air for business purposes at least once in the last 12 months, with most taking one to five flights per year. The most popular way to relax among survey respondents was reading (UK 64%), (France 63%), (Germany 72%), (Spain 63%), followed by sleep, around 60% signalling that to be a vital component, followed by watching a movie (UK 56 %), (France 54%), (Germany 44%), (Spain 53%). The majority of travellers surveyed in the UK (72%) and Spain (62%) said the primary reason for choosing an airline is the ticket price. However, 61% of Spanish business travellers say that the schedule and network of an airline are also important. And business travellers in Germany and France cited schedule and network as their No. 1 reason (70% and 63% respectively). More than half of business travellers across Europe prefer to book their tickets using online travel sites. The survey also highlighted how European business travellers are relying more on technology to further alleviate the stress of travel, turning in particular to smartphone applications such as weather updates and travel maps to support their trips. AERBT has also conducted a small straw poll and discovered that most of those questioned were happy enough to fly economy within Europe but found queuing and relaxing at the airport a real strain. Use of executive clubs and priority boarding does cut down the difficulties in this respect. It can all go wrong. Do read “AND FINALLY” which is the ultimate case. As it inaugurates its twice daily service between Jersey and London City Airport Blue Islands airline has also announced morning and evening flights from St Helier to Bristol starting on Monday 23rd May. The operation will be flown by a 19-seat BAe Jetstream Monday to Friday with a single return flight on Sundays. 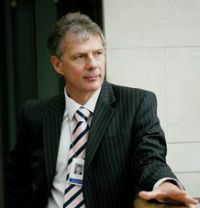 Managing Director of Blue Islands, Rob Veron, said: “The introduction of this Bristol service will also be attractive to the business and leisure visitor with the airport catchment area covering ten counties across the South West of England and South Wales.” He continued: “The onward connections for Jersey travellers are also good with a choice of 81 scheduled destinations (66 international and 15 domestic) served by direct flights from Bristol Airport across 22 countries.” He noted that Blue Islands will be able to offer the quickest journey time from Bristol to Zurich by scheduling these new flights to connect to its Swiss services from the island. With both parties now under new leadership British Airways and Unite appear to be making progress with their cabin staff quarrel. The union said it will not call any more industrial action for the time being which includes Easter. BA has granted a 28-day extension to the current strike mandate, which was due to expire on Monday. In a joint statement, Unite and BA said: “The new General Secretary of Unite, Len McCluskey, and the new Chief Executive of British Airways, Keith Williams, have had exploratory talks over the last few weeks and are committed to seeking an honourable and fair settlement to the long-running dispute. “Both men accept that a lasting peace is essential for the well-being of all cabin crew and for the benefit of British Airways’ customers." “To achieve such a peace, it is understood by British Airways that cabin crew must feel that their concerns are being fairly dealt with, and it is recognised by the union and management that acceptance of change is the key to lasting peace"
Low cost carrier bmibaby is to pull out of Manchester and Cardiff airports at the end of this summer and focus on expanding at other UK regional airports instead. This is more of a blow for the Welsh airport than Manchester where sister airline bmi, British Midland International has a significant presence. Bmibaby will switch two aircraft to Belfast City Airport, from where it will offer new routes for summer 2012 to Alicante, Faro, Ibiza, Malaga, Palma and plus a new year-round service to Amsterdam. Rezidor Group has reopened the popular Mammy Yoko Hotel in Freetown (Sierra Leone) as a Radisson Blu. The original Mammy Yoko Hotel was an operating hotel for around 30 years. Business was interrupted in 1997 as a result of the civil conflict and the building was heavily damaged. The property is undergoing a complete overhaul and it will re-emerge in late 2011 as the premier hotel for aid agencies, diplomats and business travellers. 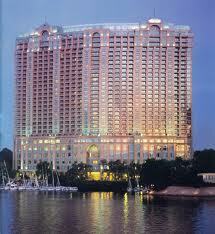 Besides 171 rooms, the hotel will offer a restaurant with outdoor terrace, several bars, and meeting rooms. An outdoor swimming pool, tennis courts, duty free shopping and a gym will also be available. “We are delighted to enter a further country in West Africa – the region is one of our focus markets for future business development, and this hotel perfectly complements other current and upcoming projects in Dakar, Bamako, Lagos, Accra, and Abuja”, said Kurt Ritter, President and CEO of Rezidor. It explains the reasons for ensuring adequate hydration when travelling, and provides helpful advice on avoiding the 'travel fatigue' which is often caused or exacerbated by dehydration. On long haul flights, the air circulation and lack of humidity causes moisture from our bodies to evaporate at a quicker rate than normal. This may be one of the causes of ‘travel fatigue’ that is often reported by long haul travellers. Scientists also think that low humidity in the aircraft and dehydration, combined with long periods of cramped sitting, may increase the risk of developing blood clots in the legs, thromboembolism. Those most at risk are people aged over 60 years, those with a history of blood clots and women taking oral contraceptives, particularly if travelling on flights lasting more than 12 hours. Regular Heathrow Express and Heathrow Connect users might be forgiven for blinking when they arrive at London’s Paddington Station. The station is definitely brighter. Coming to an end is a £35m renovation which started in 2009, and with the removal of the scaffolding there is now light on the platforms. The built in 1916 the roof above platforms 9 to 12 has in fact been obscured since 1997. Much of the current mainline station dates from 1854, and was designed by Isambard Kingdom Brunel. 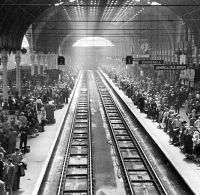 The site was first served by Underground trains in 1863, and was the original western terminus of the Metropolitan Railway, the world's first underground railway. Vueling inaugurated on Saturday (16 April) a three times per week service, on Tuesday, Thursday and Saturday, between Heathrow and Vigo in Northern Spain. 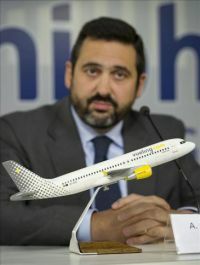 The airline also connects London to Bilbao, La Coruna and Seville. The new London – Vigo route was previously operated by Clickair, (which merged with Vueling in July 2009) during summer 2008 and 2009 with very successful results, with load factors reaching 78% in peak season (July and August). The London 2012 organisers have sent out a round robin reminding everyone that the Olympic Games ticket applications close midnight Tuesday 26 April. Betting companies have not yet come around to offering odds as to whether the main computer goes down on that day due to overload. The advice is “book early”. Before you submit your application, remember there are 26 sports and more than 600 sessions to choose from, with events taking place across the UK. Why not think about applying for new sports you haven’t experienced before? You can increase your chances of being allocated tickets by choosing morning sessions or qualifying rounds, and by adding a price range, indicating the lowest and/or highest prices you are willing to pay for tickets to a session. Applications for Paralympic Games tickets open on 9 September. www.tickets.london2012.com. 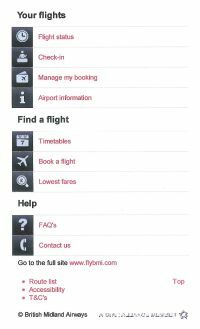 British Midland International, which is not sure if it should be called bmi, has launched a new easy-to-use mobile site enabling customers to book and pay for flights using their smartphones, becoming the first British airline to do so. The new mobile site allows customers with smartphones to gain enhanced access to the website. Users will get the key functionality that they would ordinarily get from accessing flybmi.com on a computer but deliverable on the move and at their fingertips. 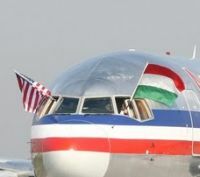 American Airlines has launched a daily Budapest to New York JFK service, for the first time linking its own hub with that of fellow oneworld member Malév Hungarian Airlines. 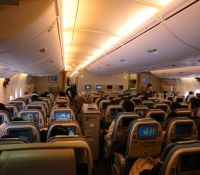 All services will be flown by a Boeing 767-300 aircraft in a two-class layout with a flight time of 9hrs 40mins. A year on from the volcanic ash cloud that closed European airspace for five days, easyJet has published progress details of the AVOID (Airborne Volcanic Object Identifier and Detector) system. Ian Davies, Head of Engineering, easyJet said: “Last winter we were told that the heavy snowfall was a once in a lifetime event and then it happened again ten months later. We can say with certainty that it will happen (again) at some stage. The no-frills carrier is investing £1m in AVOID, which is the brainchild of scientist Fred Prata from the Norwegian Institute for Air Research. But although some progress has been made the system has yet to go on to any passenger aircraft. 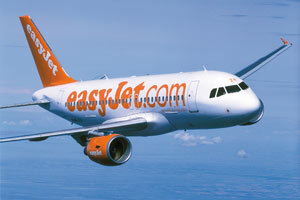 At one time easyJet said it wanted 12 of its aircraft installed with the system by the end of 2010. EasyJet said the AVOID prototype is ready to test in volcanic ash, but the scheme needs European Aviation Safety Agency approval and also European Commission financial support. EasyJet is pursuing both these objectives. Ian Davies is clearly frustrated. "We call for more support from the rest of the industry for this and other new solutions to deal with the volcanic threat," he said. SITA, owned by the airlines and based in Geneva, has won a €120m outsourcing deal to provide core IT services to all six BAA-owned UK airports, including Heathrow. Partnered by Capgemini UK the contract gives provision for continuity if, as likely, BAA are required to sell Stansted and either Edinburgh or Glasgow airports. The consortium, assembled and led by Capgemini as prime contractor and systems integrator, includes SITA, Atkins, Computacenter and Amor. SITA itself is considered to be one of the world’s leading, airline and airport technological suppliers. 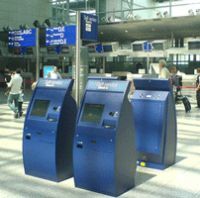 It became a key player in airport IT outsourcing six years ago when, in the first deal of its kind at a European airport, Dusseldorf Airport became a client. Northolt Jet Centre Premier Passenger Service (PPS), which is a division of the executive aviation base at London City Airport (LCY), has taken over management of the airport slot co-ordination function at RAF Northolt in west London. The Royal Air Force retains operational control of the airport but all civil operational contact will now be via PPS. London City Airport is investing in the facility to include refurbishment of the crew and passenger facilities to commensurate with those offered at LCY. AERBT seemingly every week in recent times has reported on new airline and route expansion in South America, and in particular Brazil. Today’s edition is no exception with news of further developments for Rio de Janeiro. TAM, the leading Brazilian airline, is to gain more long haul frequencies in May and August. The carrier will offer a daily service to-and-from Frankfurt as of 2 May, and increase the current four weekly services to New York to six. 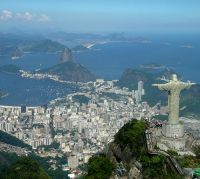 The airline plans to increase the number of flights between Rio de Janeiro and London from three to six weekly departures as of 1 August this year. TAM already offers a daily service to São Paulo from Heathrow. As it gets dark this evening (Monday 18 April) Jewish families all over the world will gather to celebrate Passover, the Exodus from Egypt. Traditionally the youngest participant in the service will ask the question “Why is this night different from all other nights?” with the response (amongst others) that matzah (unleavened bread) is eaten. By convention for Christians it is also the night of the “Last Supper”, but this also depends on which version of the Bible you read. Tomorrow is the first day of the week long Passover festival. The events that are explained during the Passover evening happened in the land of the Pharaohs 3,500 years ago. But in 2011 another question might be raised both from a current political and leisure point of view. Let us clear up one myth. When the family of Joseph arrived from the land of Canaan the Great Pyramid of Giza had been around for over one thousand years. The Jews did not build it. As far as the current governmental state of affairs is concerned we can do little, but viewing it holiday-wise, is Egypt a safe place to visit? For Joseph and his brothers it certainly was but times move on. "Now there arose up a new king over Egypt, who knew not Joseph” (Genesis 46-8). And Moses was about to arrive onto the scene. Joseph is thought to have settled in what at one time was called Rameses (after a Pharaoh), 75 miles north east of Cairo. It was close to the Nile and on the caravan route to Canaan. As a pseudo noble family they would have led a fine life with servants and accommodation in mud brick villas. The story of Passover probably occurred 300 years later. “The Jews had multiplied” according to Exodus 1:8-10. What happen to the Hebrews in Egypt was a prelude to the history of the Jews throughout the generations. They were persecuted. What we don’t know is which cities in Egypt they built. Was the parting of the waves in the Red Sea a tsunami? Moses, brought up as the nominal grandson of the Pharaoh also led a life of luxury during his formative years. His mother would have told him the stories of Joseph and his brothers. Jews have continuously dwelt in Egypt since well before the start of the Common Era. They existed in prosperous times, the great philosopher Maimonides finding his way from Spain, writing the “The Guide to the Perplexed” in 1176. Somehow the Jews survived some terrible pogroms. Traditionally they went where the commerce was and Egypt was at the cross roads of the known world. The Turks ruled the country for 400 years until thrown out by the British after the First World War. In 1922 it is estimated that there were 80,000 Jews in Cairo and Alexandria, the majority Sephardic but also Ashkenazi refugees from Eastern Europe. The rise of Nasser and the Suez campaign of 1956 signalled virtually the end of the community. A very small number linger on and whilst the fabric of a number of Synagogues in Cairo remain (and one in Alexandria) Judaism in Egypt is virtually extinct. 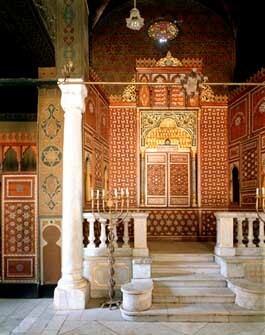 However the Ben Ezra Synagogue in Old Cairo, with its cool marble floors, must be mentioned. Egypt’s relationship with Israel, and various visiting dignitaries, has ensured its upkeep. Lore has it that the Nile once flowed up behind the synagogue, and there, in the reeds, baby Moses was hidden. Before the current revolution tourism represented 11% of Egypt’s domestic earnings and 15m tourists per year. Visitations revolved around six active areas with Cairo, Africa’s largest city, dominant. Most resorts are now recording very slow business. During the peak winter season, 300 vessels typically jostled for space on the 125-mile stretch of the Nile between Luxor and Aswan. Now, the few ships back in service ply the river like apparitions, their deck chairs and hot tubs all but deserted. 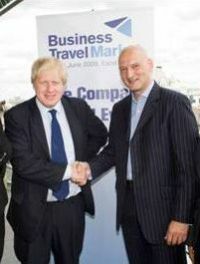 For the major British operators such as Tui (that is Thomson and First Choice) it is “business as usual”. There are terrific bargains to be had. What will business be like this year? Nobody knows. 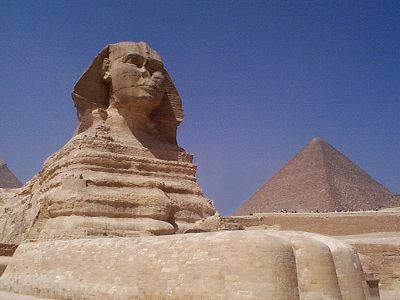 Currently most resort areas are quiet but the new National Government is pumping a great deal of money into the sector and Egypt was recently very well represented at ITB Berlin, the world’s largest travel trade fair, complete with a massive sphinx. The British Government’s excellent travel advice pages (www.fco.gov.uk/en/travel-and-living-abroad) give the country an OK for visiting but with various recommendations. For British passport holders a visa is not necessary for the resort areas of Sharm El Sheikh, Dahab, Nuweiba and Taba. When it comes to the six different tourist super-sites each has its own flavour, and generally serves a different purpose. Surprisingly, or perhaps not, most of these tourist areas do not depend on ancient monuments to sustain them. In fact, only Luxor is completely dependent on this trade. Alexandria and its immediacy might be slightly off limits. It could in fact be argued that this region extends to Marsa Matruh and the west coast towards Libya. The area has a Mediterranean feel about it, and the attraction is the Mediterranean Sea, and to the people of Cairo, a somewhat cooler climate. The cruise ships are now giving it a miss. Cairo and Giza for the Great Pyramid. Cairo has everything. Great hotels, entertainment, restaurants, all manner of monuments from throughout the history of Egypt and it is often the entry point for most people visiting Egypt. It even has bowling alleys and several golf courses to chose from. 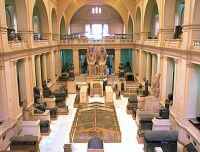 The wonderful Egyptian Museum offers one of the world’s great collections from ancient times including the death mask of King Tutankhamen. Damage to the artefacts during the recent revolution was, thankfully, very limited. From the UK the airline choice is good with bmi, British Airways and Egyptair on offer for the nearly five-hour flight. Most European capitals are served direct as is New York. 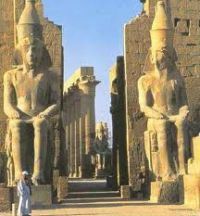 Luxor, over 300 miles south of Cairo – you must fly – is a living museum with vast numbers of ancient Egyptian monuments. It is also highly orientated to tourists, and might be thought of in the same regard as a theme park, where the attractions just happen to be actual monuments. The Valley of the Kings is the real thing and truly awesome. Aswan, even further south, is probably the least of the super-site tourist areas, but has great hotels, along with the huge artificial Lake Nasser. Berenice is the local Red Sea resort. The coast is lined with mangrove swamps and unspoiled bays and coves. While Berenice is famous for fishing, it also has some of Egypt's best health spas. Hurghada and the surrounding area on the west coast of the Red Sea have led Egypt’s rise as a tourist destination. Not too far away are El Gouna and Safaga, and these contain just about everything a holidaymaker would like to have, with the exception of ancient monuments. They make up for that with every variety of water sports, several golf courses, casinos and more. The Red Sea area has less of an Egyptian feel, but not as European as the Sinai opposite across the water. It is nearly six hours on easyJet from Gatwick North and quality charter flights are operated by Thomas Cook Airlines amongst others. Sharm El Sheikh, and the surrounding area including Sharks Bay, now includes the residence of deposed President Hosni Mubarak. Do not be put off by his presence behind very secure walls under what is technically house arrest. This is the Sinai super-site water side, again with virtually everything any tourist might wish. It is on the BA schedule from Gatwick, with easyJet operating from that airport too and also Luton. Once again there are charter flights by various tour operators. The situation regarding holidaymaking in Egypt is fluid. Memories are short. In 1997 60 tourists were shot at the mortuary temple of Queen Hatshepsut in Luxor. This was quickly forgotten and the travellers returned. The answer is probably not to book too far in advance and take the opportunity offered with very much discounted prices. You might find the resort quiet, and that might also be what you wanted. The tourist destinations seem OK . However in much of the rest of the mainland interior, travel and destinations are limited. Follow the advice of the British Foreign Office.